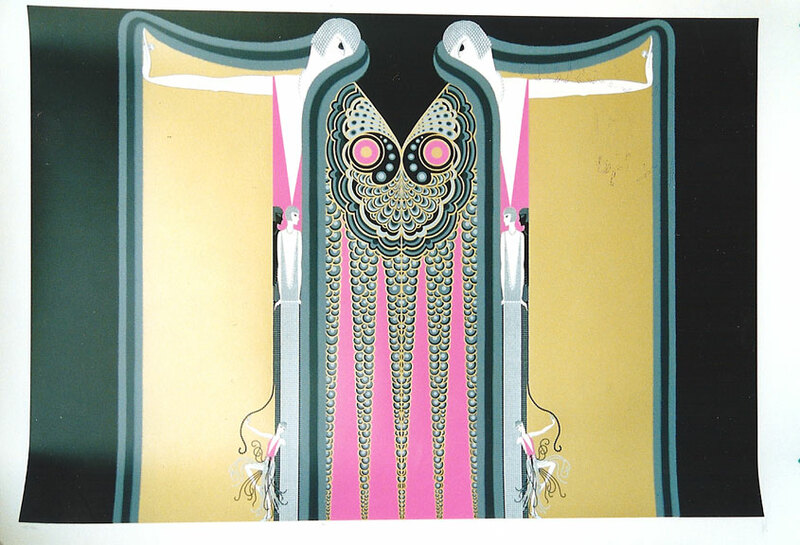 Erte was born Romain de Tirtoff in St. Petersburg, Russia. The only son of an admiral in the Imperial Fleet, he was raised amidst Russia’s social elite. As a young boy, he was fascinated by the Persian miniatures he found in his father’s library. These exotic, brightly patterned designs continued to be important to him and influenced the development of his style. 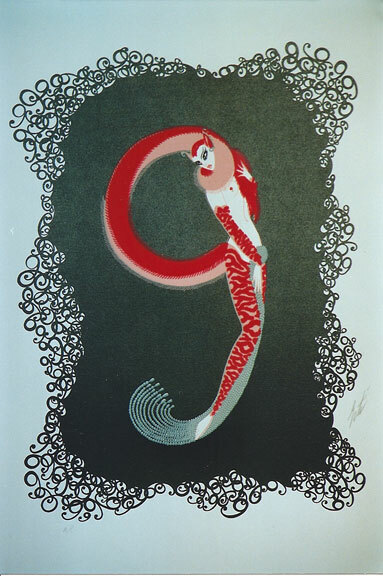 He moved to Paris at the age of eighteen and took the name Erte, from the French pronunciation of his initials, R and T.
In 1915 he began his long relationship with Harper’s Bazaar, during which time he created over 240 covers for the magazine. His fashion designs also appeared in many other publications, making him one of the most widely recognized artists of the 1920s. He also designed costumes and sets for the theater. 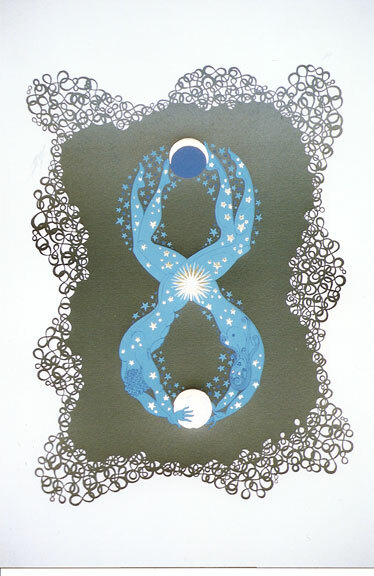 In 1976 the French government awarded Erte the title of Officer of Arts and Letters, and in 1982 the Medaille de Vermeil de la Ville de Paris was bestowed upon him. His work is in many prominent museums, including the Metropolitan Museum of Art in New York, the Los Angeles County Museum, the Smithsonian Institution in Washington, D.C., and the Victoria and Albert Museum in London. 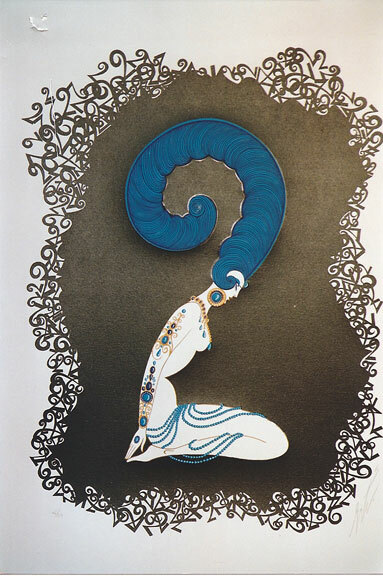 The designs created by Erté during his long and illustrious life influenced not only the world of theatre, film and fashion, but an entire art movement as well. The genius of the artist is evidenced by an enormous body of work that is considered among the most influential and unique of the 20th century. 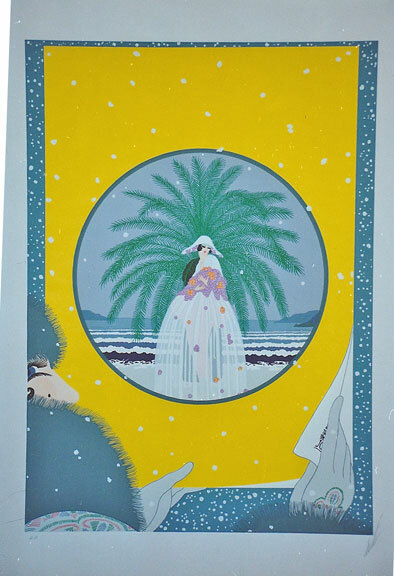 Erté—Romain de Tirtoff—was born in Russia in 1892, and died at age 97 in 1990. His legendary career spanned nearly the entire length of his life. 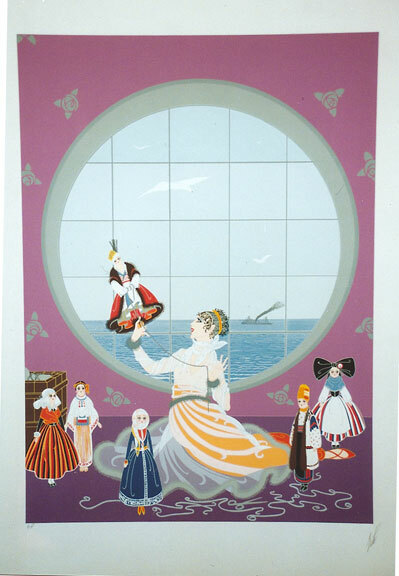 In 1912, Erté moved to Paris and his unique talent was immediately recognized by the city’s most established couturiers. In 1915, he began an association with Harper’s Bazaar by designing covers of each of their magazines for the next 22 years. 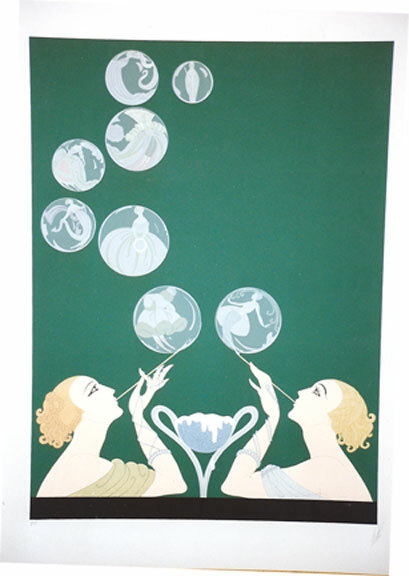 The influence of his work as a result of the high visibility of this periodical influenced an entire art movement that was to become known as “Art Deco”. Throughout this period, the artist also created original costume and fashion designs for many of the era’s most renowned screen actresses, including Joan Crawford, Lillian Gish, Marion Davies, Anna Pavlova, Norma Shearer and others. 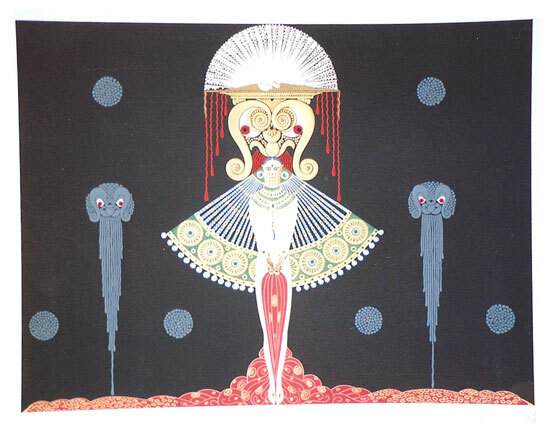 His creations for the stage included extravagent designs for productions at such venues as New York’s Radio City Music Hall, the Casino de Paris and the Paris Opera, as well as for the Folies-Bergères and George White’s Scandals. 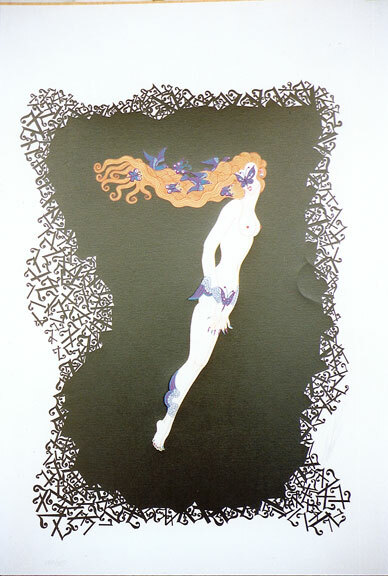 Erté is perhaps best remembered for the gloriously extravagant costumes and stage sets that he designed for the Folies-Bergère in Paris and George White’s Scandals in New York, which exploit to the full his taste for the exotic and romantic, and his appreciation of the sinuous and lyrical human figure. 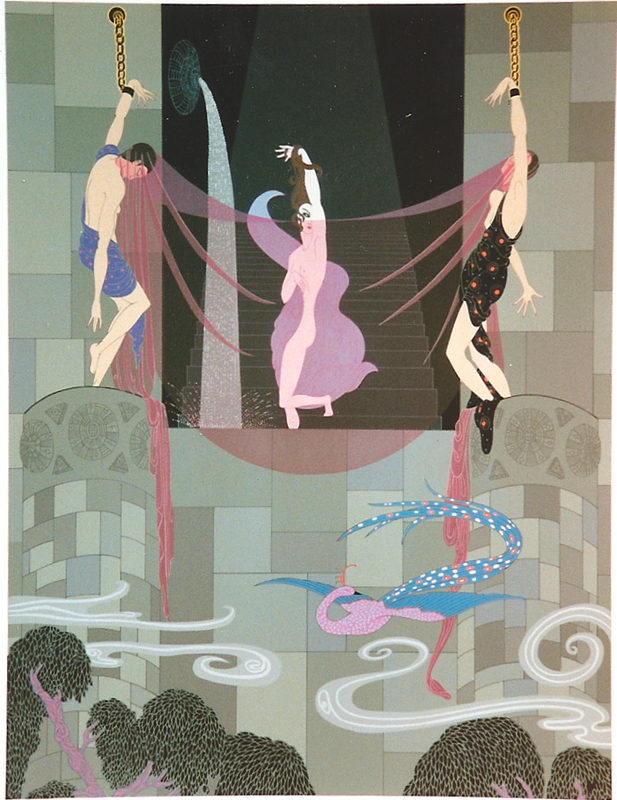 As well as the music-hall, Erté also designed for the opera and the traditional theatre, and spent a brief and not wholly satisfactory period in Hollywood in 1925, at the invitation of Louis B. Mayer, head of Metro-Goldwyn-Meyer.